1. How do you rate this entire Series 2? 2. Which LEGO Collectable Minifigures Series do you like most? This is a bountiful year for many LEGO fans around the world. Earlier this year, The LEGO Group (TLG) launched the very first unique Collectable Minifigures Series in May 2010 and quickly followed up with Series 2 in August 2010 which I will be sharing with you in this exciting review. Before we start, let's take a quick glance at the past LEGO Collectable Minifigures Series 1 popularity and review. At the same time, we can also view the current poll statistics for the LEGO Collectable Minifigures Series 2 that are voted by our very own Eurobricks Community. I would like to thank Eurobricks Staff member, Svelte for taking some crispy delicious images of the 8684 LEGO Collectable Minifigures Series 2 box (first 4 images of the review). You simply can't resist the excitement of seeing so many bags simultaneously! If you are sitting right in front of these sealed packets, will you become frenzied? For myself, I was simply feeling too excited and wondering to myself, what are the minifigures going to be like in terms of their design and appearance. Will these minifigures meet my expectations as an Adult Fan of LEGO)? The new objective is to complete a set of 16 unique minifigures for Series 2! These minifigures are just so beautiful and special. Most of these minifigures have not been produced before in any LEGO sets. As a matter of fact, a lot of such new designs are only made available in this collectable series. We don't have a chance to obtain minifigures such as the Mexican, Surfer and Pop Star. Furthermore, there are so many new elements such as the sombrero, maracas, surfboard, microphone, etc. You might even notice that our dear Mexican friend is wearing his new poncho cape design. Whereas, cape designs for the Spartan is only coloured in dark red and the Vampire cape is found in the Studios theme and the recent Castle, Fantasy Wizard of the Skeleton Tower. In terms of the overall quality, I am very satisfied with it. Although these minifigures bear the cursed mark under their armpits, but the overall detailed design simply takes my breath away. The torso does not give a "matte" feeling or appear to be "washed out". However, there are some flaws - eg, the DJ which might have a little strong purple colour. Then again, I am not complaining and as long TLG is able to ensure that the overall quality is not compromised. If they continue to release such incredible designs, I will continue buying these awesome minifigures. As many of you are aware, the barcode on the left is meant for identifying the types of minifigures inside the sealed packet. I will not be helping to identify the barcodes in this review as Eurobricks Staff, Ras74 and Superkalle have already done a great job of this. However, rumours have been reported on FBTB and Brickset indicating that the barcode will not be made available in the upcoming Series 3 next year. This approach will force global buyers to buy them even faster and be even heavier on the wallets than before, since it will all be completely random. However, as long the method of buying 1 complete sealed box can ensure at least 3 complete sets, I am not really complaining. Till then, we will need to identify and source a new method to identify those Series 3 packets accurately. In his traditional wear, the Mexican embraces LEGO fans with his rich historic culture. It's a great minifigure, made suitable for a wild west setting by putting it along with the Series 1 Cowboy and Tribal Hunter, or even for a costume party. With his iconic sombrero with golden pattern around the brim and colourful poncho design, he is ready to shake his maracas in the fiesta. I am really amazed by the new elements provided for this minifigure. It's one of the 16 minifigures which has the highest amount of new moulds produced specially for it, including the green sombrero, red maracas, and decorative patterns on the special poncho. In fact, I have never seen such cloth/cape designs before and it's really very appropriate for this design. The legendary and unbeatable Spartan, a version of which is featured in the blockbuster movie, "300". The Spartan is definitely the main number 1 attraction for lots of LEGO collectors out there and I am very certain that it's one of the most valued and highly sought minifigure among Series 1 and 2. Let's put it in the right perspective. 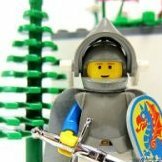 There are a lot of collectors out there whom want a fearsome warrior from the ancient Greek culture and TLG did not create any Greek minifigures or sets before. Furthermore, TLG has designed very accurate gear and weapons to make it even more appealing. I am totally impressed with this outstanding minifigure and I strongly believe I will have a hard time amassing a large army of these, since many others out there are also searching for this figure. Outstanding new elements include the very accurate red and golden Spartan helmet, round shield, bronze armoured vest, long spear and dark red cap. This is certainly a big attraction for all Classical Figures lovers. The circus is in town! Previously, in Series 1, we had the performing clown and now we have the hilarious Ringmaster trying to entertain the audience and coordinate the circus troupe together. Just look at his shiny red vest and tall black hat, posing with his white whip. I wonder if we should expect a new animal like a tiger or lion in the near future? It would be fitting for the Ringmaster to tame that fierce beast. There is nothing special in this assortment, except for the new white whip which is similar to the one inside the Prince of Persia, 7570 Ostrich Race. On the other hand, I find the red torso, very suitable for use in a military band. The green terrifying witch is on the loose with its flying broom. Seriously, when I saw the movie, Shrek 4 or even the Wizard of Oz in 1939 which featured the Wicked Witch of the West, I can't help but to notice how similar they are. She is equipped with a spell book with a frog picture at the front, which made me makes me wonder if its a spell book to transform humans into frogs? Perhaps throwing potions bottles at your enemies will make them suffer! Her entire outfit is very menancing and compared to the Evil Witch and Fright Knight Witch, I don't think they will stand a chance against her. Nothing special, except for the new torso, skirt and head. The rest of the parts are pretty much the same as before. Count Dracula is back with a new look. His sinister, cold-blooded expression gives me chills. Although there was an earlier vampire version which was released under the Studios theme, I find the Series 2, Vampire to be much realistic looking and at the same time, rather threatening. These are the standard parts to assemble a vampire. One minor thing to note, I never own a Vampire minifigure before and so, I wasn't very familiar of putting the vampire robe. It took me awhile to get it right as there are so many holes in the centre and I am not sure which to fold first. I am glad I got it in eventually. Annoying indeed. No drivers will like to see this traffic cop attempting to stop you at the highway, because if he is stopping you, you are definitely driving above the speed limit and will be given a ticket! If you don't comply, you will be arrested and handcuffed. Do not worry, he comes with spare cuffs to ensure you don't have a chance to sneak away. The printed speed ticket tile is the main highlight for this minifigure. There are so many fine prints in this tiny tile and I can't figure out exactly the main bulk of it. I quite like this outfit, but I think the black helmet should comes with a visor. Somehow, he seems a little incomplete without the visor. Where is Johnny Thunder and Indiana Jones? There is a new companion for hire if they are intending to venture into the Amazon Jungles, where the experienced adventurous Jungle Explorer will lead the way. I was not sure of the naming term and I got the term, Jungle Explorer via Brickset, but somehow or another, I feel it can also be represented as other kinds of explorer like the desert and outback. You get extra binoculars with his safari wear. I am not very excited about this since I don't need so many explorers of the same kind to trek into the jungle. But still, this is a good minifigure to get. The hot Lifeguard can be spotted from a distance with her bright red swimsuit, patrolling the coast to save distressed swimmers with her handy burnside buoy. She seems clearly based on Pamela Anderson from the "Baywatch" TV series. I wonder what the initials "G.T" are supposed to represent? Maybe, these are the initials of the designer. By the way, I wonder if the Cheerleader and the Lifeguard are supposed to be sisters and drawn by the same designer? I really like this figure very much and more importantly, it's a lovely addition to your female population. The new element featuring the burnside buoy is a nice life saver addition and complements the existing buoy well. This is a close up image of the burnside buoy. The expressive Mime Artist provides lots of entertainment by showing different lively expressions and emotions to the audience. Wearing a monochrome black and white outfit, he is trying to illustrate a world without voice and sound by only using facial expressions to show how one feels. This is one of my favourite minifigures, mainly because of the black beret and the 3 different heads that shows expressions of joy, fear and sadness. The 3 different expressions posed by the same Mime Artist? We have a heavyweight champion in town. I suspect this strong weightlifter is likely to be associated with the circus troupe. On the other hand, I might be wrong as he could be a Sportsman whom is proficient in this category. Just look at the sweat that is breaking out on his forehead. He is lifting the dumbbell up with all his strength using just one arm! I have never seen weights of such design before and I believe this is something new. One thing which bothers me, is the short length of the rod. If its meant for weightlifting, it ought to be done with 2 arms instead of 1 arm, but I am certain that this can be rectified easily by finding a much longer rod to extend the length. There is a musical concert in town featuring this dazzling pretty Pop Star. Look at the amount of pink bling bling that she is wearing and the feminine makeup that she is wearing. She even has a beauty spot by her left cheek. This Pop Star is definitely ready for her next performance. This is another nice female minifigure. I will never get bored of having more female minifigures since they are so hard to come by. I like the design of the new microphone and it even comes with a spare. The hairpiece is also something new and can be used for other female hairdos. With this cool Alpine Skier wearing the tag "211", we can now organise a full scale Winter Olympics games for the LEGO Sportsmen. Wearing in his blue ski outfit, the Skier is ready for his competitive race down the slope to secure his victory. I wonder how many of such "211" figures we will have when we are buying multiples. I don't think the judges are willing to accept participants wearing the same number tag? This entire ski gear set is much better than the ones in the previous City Advent Calendars. I really like how the designers put this equipment together. Hey, it's Saturday Night Fever! The popular DJ is in the house, rocking the dance floor with his latest single "Brick Fever" and wearing his bling bling outfit. Even his shiny white teeth shine brightly on the dance floor!. This 1970s DJ certainly looks retro and hip. The printed musical hit single "Brick Fever" is just incredible. I really love this new element very much. It resembles these platinum chart LPs from another age. The entire outfit is just so retro looking. Note that the hairpiece is the same mould from the Series 1 Clown. Only the colour is different. Maybe, they are meant to be brothers? The Karate Master is the champion in the martial arts arena. Wearing his black belt shows that he is skilled in Karate/Tae Kwan Do. He even won the championship too. Don't try and mess around with him. The tiny minifigure golden statue is really very cute. It can be even used in an "Oscar Awards" giving ceremony. I am sure some of you have noticed how ugly the legs is. The printing is not very good for the legs, waist belt prints connecting to the torso. There are visible breaks in between and it kinds of ruin the overall appeal. He is such a handsome looking hunk with a taste of surfing. I love this minifigure very much as he holds the first one of a kind printed surfboard that is so nice looking. Even the shorts are nicely printed with light blue Hawaiian design. What can I said about this, but to admit that from the top to the bottom, all of the parts are just that awesome, especially the new printed surfboard. It's a brand new element which I have never seen before. Maybe it might have appear inside a past Sports theme or even the Extreme Sports, but I am certainly this is the first time that I have seen this. Do you agree that they are meant for each other? Who will she choose to be her date? This is the fearsome ruler of Egypt, known as the Egyptian Pharaoh. We had an Egyptian Pharaoh in the Adventurers series, but the one in there appears undead, unlike this figure. In fact, the head dress is much refined and solid than the previous. Furthermore, the snake sceptre is one of the new elements that I really like. These parts are pretty standard for a Pharaoh. If there is an Egyptian LEGO theme, I can imagine that it will be very awesome and historic with all of these ideas put together. There are quite a number of useful spare parts especially the microphones, the golden trophy and red maracas. I find these spares much useful than the rest. There you go, what do you think after you have read this review? Have you changed your opinion towards both LEGO Collectable Minifigures series? Which do you think is better? Why do you think so? In my opinion, I feel that both series have their own charms and attractions which will ultimately decide the amount of spending made from fans like us. I strongly believe all of us will at least buy a few packets of either Series 1 or Series 2. These minifigures are special enough to be a class of their own, unlike any other LEGO Building sets which we have seen on the market. In fact, these LEGO Collectable Minifigures Series have made a breakthrough and changed our perspective to make it possible, that even LEGO Minifigures can be marketed and sold as individual products. From these 2 releases, I noticed that there are a few minifigures from both series that can be integrated and expanded as a standalone theme. For example, a Circus Troupe will require a Clown and a Magician for a start, followed by adding a Ringmaster and a Weightlifter to increase the variety. Similarly the Wild West settings, which introduces a Cowboy and Tribal Hunter in Series 1, is followed by a Mexican in Series 2. What will we see in Series 3 to add to these 'themes'? You might also want to make a simple comparison between both Minifigures Series in terms of their appeal and uniqueness in the LEGO Minifigures archive. As you can see, there are at least 7 minifigures in Series 1 such as the Cheerleader, Crash Test Dummy, Caveman, Zombie, Wrestler etc which were never created before based on similar professions or designs. Whereas, Series 2, there are at least 11 minifigures such as the Mexican, Weightlifter, Pop Star, Surfer, Spartan, or Mime Artist where they are all created for the very first time. In terms of uniqueness, I strongly believe Series 2 offers more than Series 1. However, there are supporters from either series and for myself, I can't really decide which series is the best so far and if given a choice, I will love to support both. I have bought over 200 minifigures in Series 1 and purchased heavily on the Forestmen, Cheerleader, Nurse, Clown, Caveman, Ninja and Zombie. These Series 1 minifigures are useful for any kind of LEGO set up and buildings. As Series 2 is not officially released in the Singapore market, I am very certain the Spartan will be the top of the list, followed by the Mexican, Surfer, Lifeguard and Pop Star. 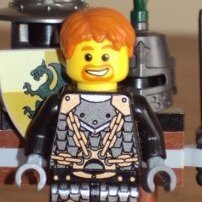 However, I don't feel the strong urge of buying more than 200 minifigures like the one I bought in Series 1. It's not a matter of financial resources but it's a matter of how many of such similar minifigures will you need. I will ask myself this question, can I even army build a whole load of Jungle Explorers, Ringmasters, Karate Master, etc? I don't need a lot of them - a few of them each will be sufficient. To sum up, I feel Series 1 has the greatest buying potential to purchase multiple minifigures as they can be used for many other scenarios in terms of army building and it's perfectly fine to have same generic minifigures. Whereas, Series 2 offers a lot more unique and special minifigures in terms of design, but the tendency of one collector buying more than normal, it will be quite hard as it will be hard to justify the usage, only with the exception of the Spartan and Female minifigures. Based on the data given, I have drafted my analysis accordingly. Buying 1 full complete MISB box will allow you to achieve 3 maximum of the complete range. So far, each of the 16 unique minifigures have an equal chance of getting 3 out of 48 packets, when the box is opened and consumers will buy it separately. That will be 6.25% probability based only on 48 packets. When you add the remaining 12 spares into the calculation, 7 unique minifigures are only available at 21 out of 60 packets and this translates to 35% in total and 3.5% each, which makes it even harder to achieve by just doing it randomly. Whereas, the probability of getting the Ringmasters, Traffic Cops and Karate Masters are on the higher note, since they are available at 15 out of 60 and this translates to 25% in total and 8.33% each. To conclude, I enjoyed myself very much in bringing this comprehensive review to the LEGO and Eurobricks Community. Till this moment, I have loved every moment of these Collectable Minfigures Series and I am looking forward to future series next year. I am sure with this concept, it will be a major expansion for minifigure lovers, builders and parts collectors. Not only that, the wide appeal of various themes is another compelling reason for collectors of various themes to be a part of this crazy phenomena. Be sure to collect them and buy them all. Don't regret buying more packets than you intend; you will regret it later if you give these series a miss and later want to add them to your LEGO journey. The minimum I could advise is to at least complete one full Minifigures Series 1 and 2 collection each. We have come to the end of this pictorial review. At this moment, on behalf of the Eurobricks Staff, I can assure you that this is only the beginning of what Eurobricks is going to offer to our community. Stay tune for more updates and announcements and you will be able to find out how you can stand a chance to win an exclusive minifigure from us. and WhiteFang scores! Outstanding collection WF. Thank you so much for taking the time to highlight this delightful collection. I'm loving the Mexixan, Spartan, and the haunting new Witch and Vampire. Can't wait to pick up these bad boys. Man, a few more babes.....er the witch actually doesn't look too bad except for looking a little green around the gills ! The skier is awesome with new accessories - correct me if I'm wrong but the ski's and ski poles are new ? Thanks for the review 'WhiteFang' - I&#39;m a conformist&#33; and for the surfer dude.....keep on surfing ! The sombrero is the best new piece in 2010 - and to think we almost lost it to a forest fidora. Wow, what a great comprehesive detailed review, certainly job very well done WhiteFang! I very much enjoyed reading your review all the way from start to end - and the EB members cameos are truly very entertaining. I gotta say I had a better appreciation of Series 2 because of your review, and it just reinforces my plan to buy the whole set. EDIT: I voted Above-average for Series 2. But I can't cast my vote since I'm abstaining for the second question. I like both Both Series 1 and Series 2 the same. Thanks for this very detailed review, WhiteFang. It's very interesting how everyone interprets these figs slightly differently, and picks up on different things. For example, it never occured to me until I read your review that the 2x2 tile ticket that the disco dude is holding is actually a 12" LP! For myself, I think the biggest issue remains the incomplete leg printing, although I believe that generally the sharpness and lack of colour blur for torsos, faces and special items is much better than standard figs. I am one of those who finds the Series 1 figs slightly boring, I much prefer their brighter and crazier Series 2 counterparts. They seem to have much more personality somehow than the blank-faced dummy, the bored looking nurse, the fairly standard looking diver and the shrouded ninja. The new Ski Equipment are new. I meant it's better than the ones in the earlier City Advent Calendars like this and this. I knew you will love it. You got to make a choice between both series. I made mine, and I choose Series 1. I agreed with that but it didn't really bothers me at first. Then again, it can be quite an eyesore on the overall appeal. However, given that the rest of the quality has improved than before. I think it is going to be a good sign for future series. I am one of those whom find Series 1 good, while Series 2 is refreshing. I will try and take some pictures again, over the weekend. I am short of some nice pictures too. Excellent review, WhiteFang! I'm very jealous of your collection. You wouldn't believe what luck it took me to even get a single set of Series 1 here in the states- I'm quite scared for what Series 2 will bring! These figures are just so amazing, I must have them regardless of what it takes. My personal favorites are the Mexican, Spartan, Mime, and Surfer. I've promised a part-Mexican friend of mine that I'd get him the minifigure- he sounded ecstatic! I'm sure he'll also appreciate the surfer and lifeguard, since he's an incredible swimmer. They went all out on those two! And everyone already know how awesome the Spartan is.. Thanks again for the review, and I eagerly await the unveiling of the event/contest. My only quibble, I wish the gold finish you see on the Pharoah's head dress would also be on the snake staff. The Spartan is the best! Hmm I don't think they produce any more from series 1. As far as I know they are sold out in most shops and now that series 2 has hit the shops I think they are going to be hard to find in a shop. Dumb question but, where are those Vespa from?? Ridiculously in-depth and exhaustive review again, WhiteFang - thanks! The links to other threads are much appreciated too, since I referred back to your other review constantly. I can't think of a single thing you haven't covered (other than the positions of various minifigs within the boxes; knowing that Zombies are mainly in the back-left corner sped up my barcoding considerably, but that's something I can do myself) so this review is looking like being my base of operations from here on out. The cameos by EB members is especially cute :) Excellent work! Thank you very much for this great review, WhiteFang! Apart from the witch all this minifigs are really :wub: ! I really like to see that the singer comes with an extra microphone and that the karate guy comes with an extra trophy - great! I can't await to get some of these! It appears there is a strong liking for the Minifigs Series 2 than Series 1. You will know the details soon. These Vespa scooters are works of LEGO customiser, "Arealight" and I bought them in BrickForge who made their own LEGO customisation accessories. I can't think of a single thing you haven't covered (other than the positions of various minifigs within the boxes; knowing that Zombies are mainly in the back-left corner sped up my barcoding considerably, but that's something I can do myself). I wished I could help you out. I noticed the arrangment are arrange in 3 packs in a row, but I really don't know their precise position though. Thanks for the reveiw, Whitefang! I really need that karate master! Email me and I will discuss it with you. Anyway, great reveiw, and I don't think the lifeguard is related to the cheerleader, because she's too annoying! The minifigures which are used for this review, will not be made available for sales for now due to this. the Lego Brand store will not release these until september? Thanks for the review whitefang ! There are a few really standout figs for me, the spartan, the surfer and the skier. I will hopefully get multiples of these (if they ever reach the uk!). Overall i think this series is better than the first one, though i dont feel the need to collect everyfig like i did with series 1. There are a few (traffic cop, ring leader, explorer, weightlifter) that i dont realy feel the need to get. That said i will probably end up buying them all when i find them! Wait until next week & you'll be able to buy as many as you want in the UK! 12 SPARTANS???? Already??? We haven't even seen the first bag of 'em yet over here stateside! All kidding aside, great and thorough reviews. Thanks.